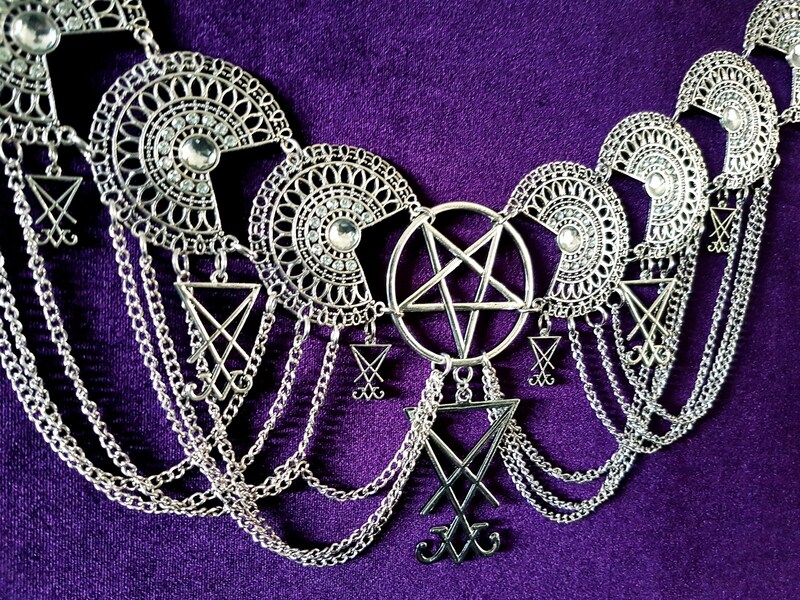 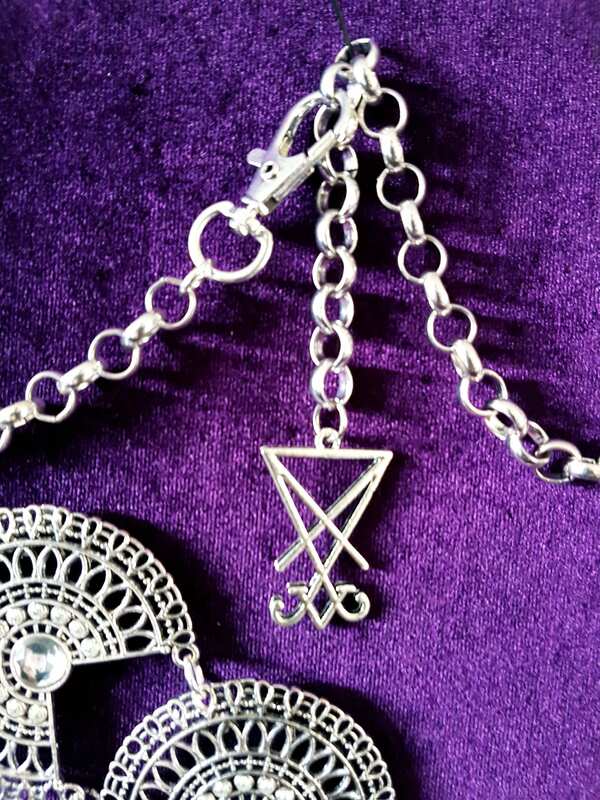 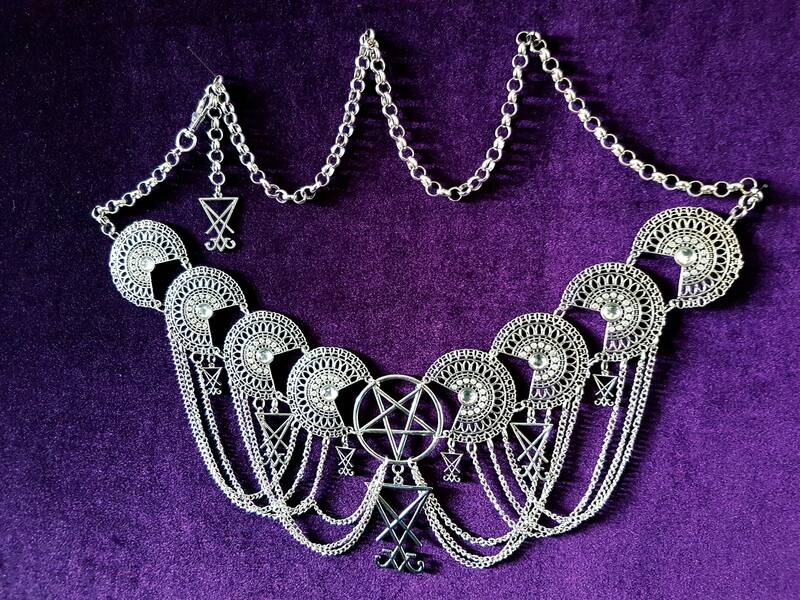 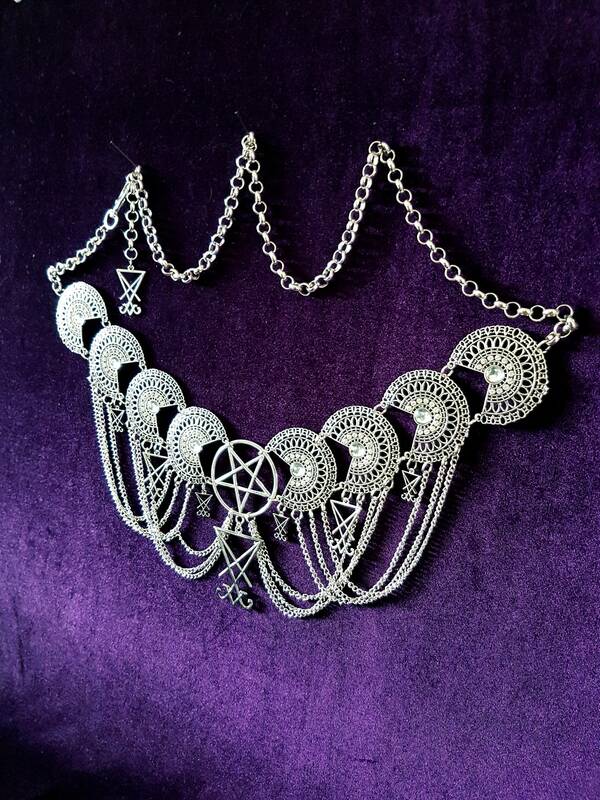 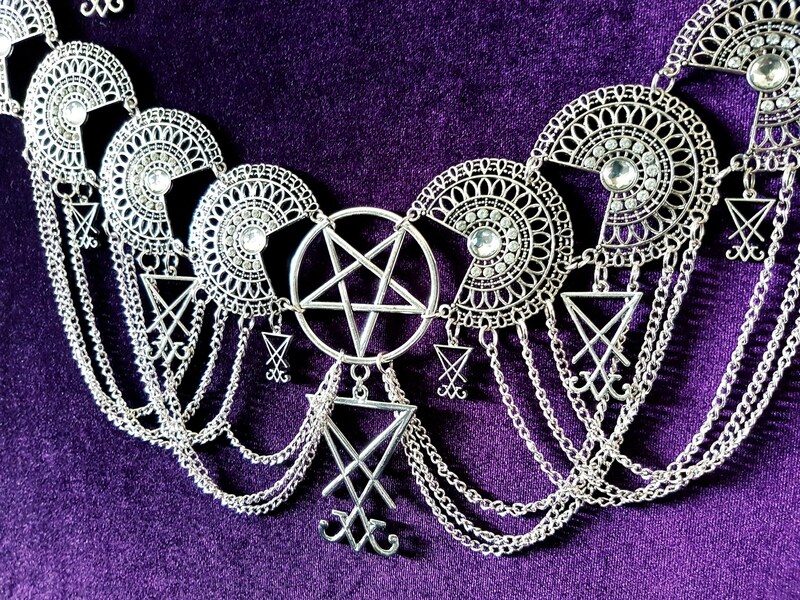 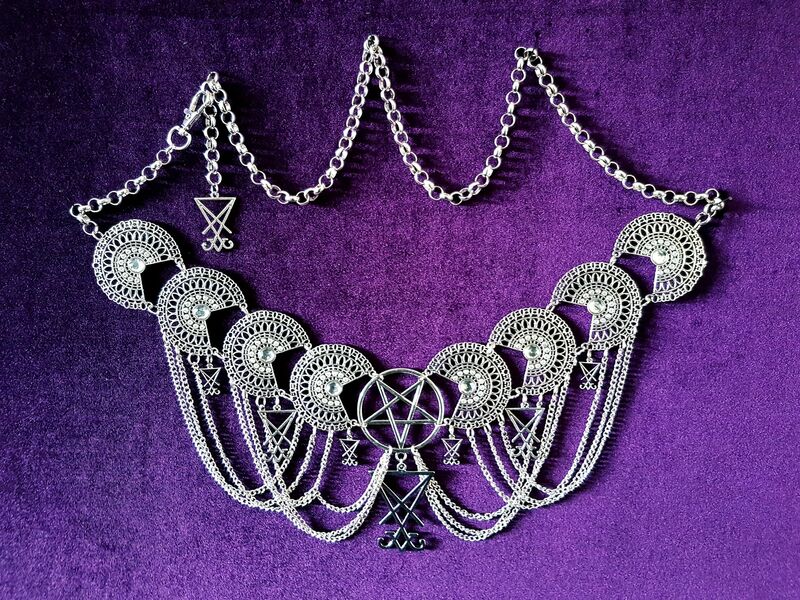 Sigil of Lucifer Hip Chain Belt. 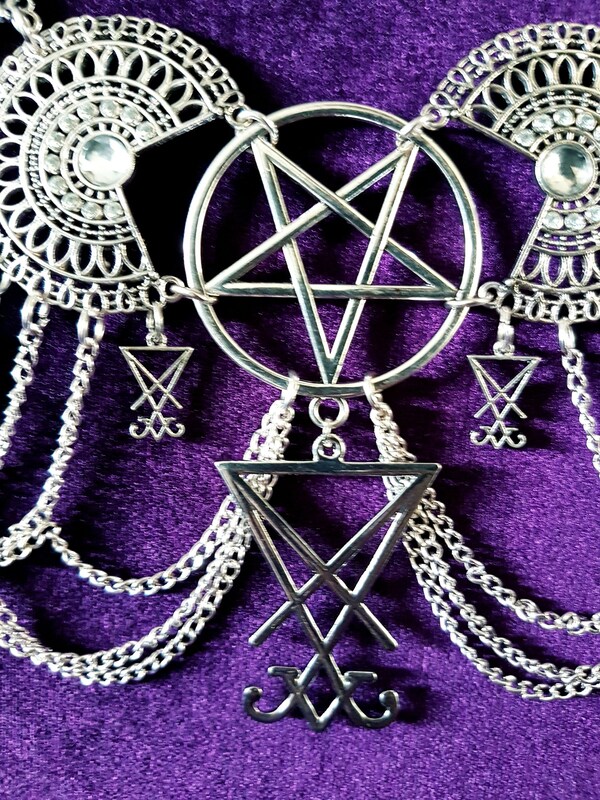 - 5cm diameter inverted pentagram in the middle. 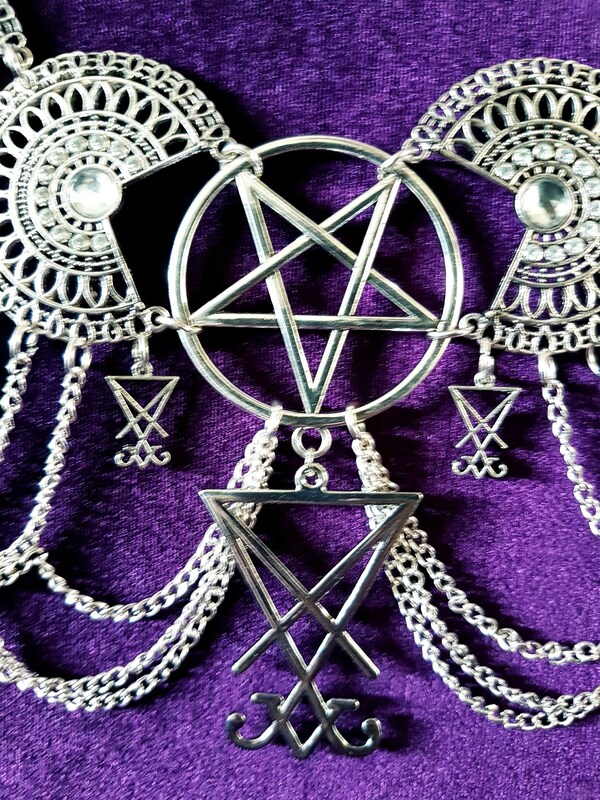 - Lots of decorative chains. 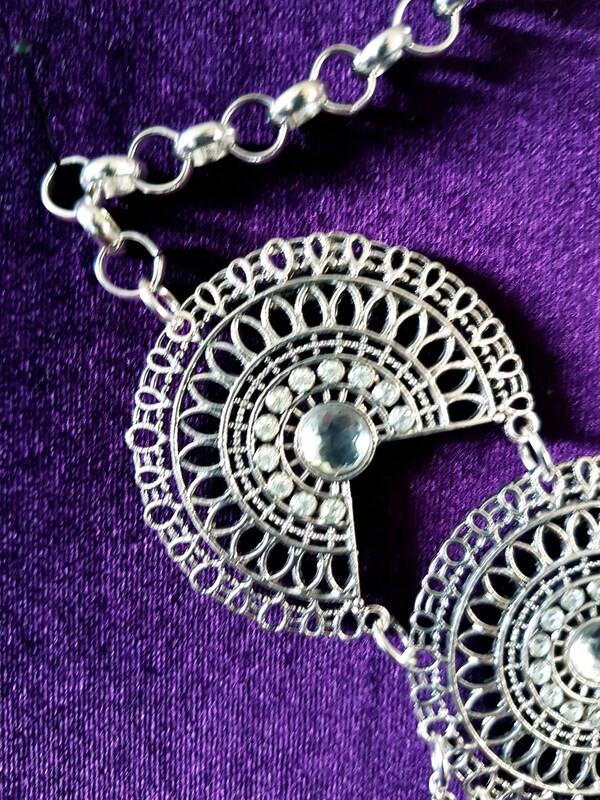 Adjustable to your own size!